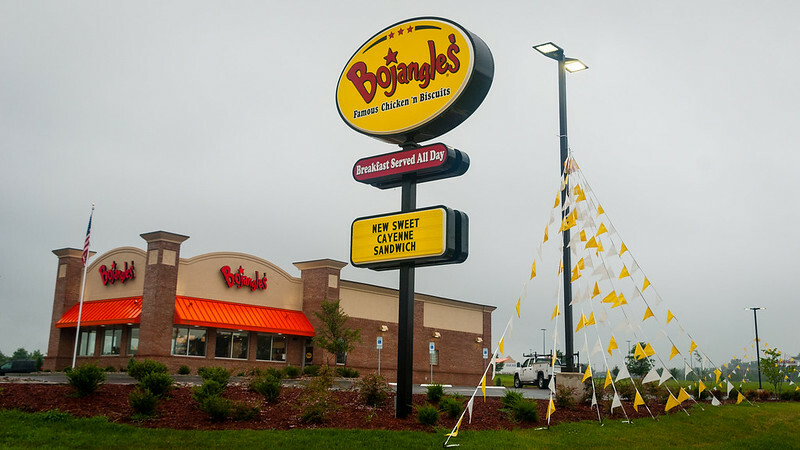 North Carolina-based franchisor Bojangles’ Inc. [NASDAQ:BOJA] announced yesterday that its same-restaurant sales decreased 1.4 percent in its second quarter, which ended June 25. Its 314 company-owned restaurants dropped 3.3 percent in same-restaurant sales compared to the second quarter of last year. At the same time, the chicken-chain’s 426 franchised restaurants' same-restaurant sales fell only 0.1 percent. Bojangles’ net income drooped to $9 million in its second quarter compared to a more robust $10 million during the same period in 2016. Its adjusted EBITDA was down at $19.5 million compared to $23 million the year before. Those numbers underly a general malaise with limited-service restaurants in the U.S. caused by sagging consumer visits. Bojangles' president and chief executive officer Clifton Rutledge said that quick service restaurants were facing “continuing challenging conditions” and that operational excellence, measured unit expansion and the integration of new technology was needed. “We are expanding our footprint into adjacent markets and are pleased to have recently signed several franchise development agreements. Franchisees will continue to lead our expansion efforts as we intend to open fewer new company-operated restaurants on a go-forward basis,” said Rutledge. The company anticipates a continued drop in same-restaurant sales for the rest of the year in the negative low single digits, where before it had hoped that it might at least have comparable sales that were flat. It has lowered its expected growth in franchise expansion between 29 to 31 restaurants, which is down from its early projection of 30 to 34 new franchises.